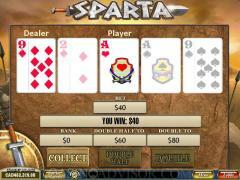 Sparta, with its unique theme is one of nine new slot games that have been recently released by Playtech. 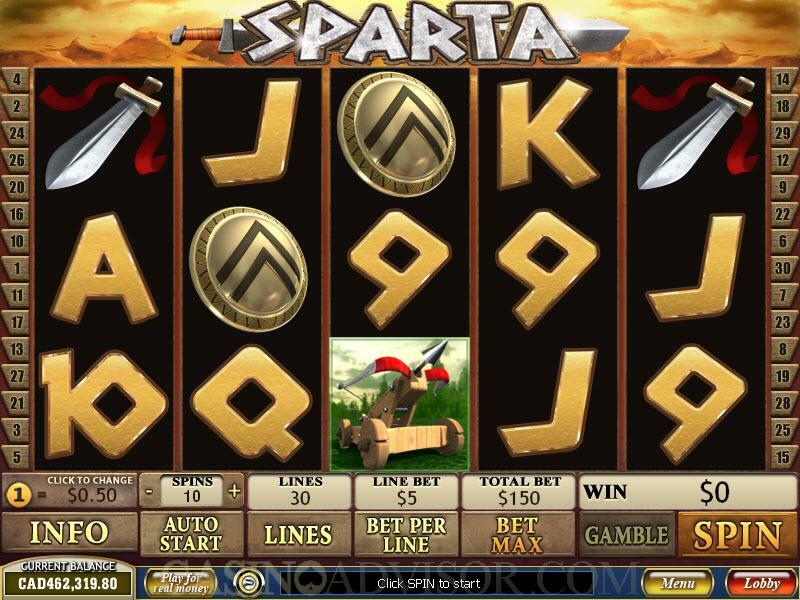 Having been released on the 29th of June 2009, these slot games have become incredibly popular in the short time since their launch. The game has five spinning reels, and thirty possible pay-lines, which makes it easy for the player to score a winning combination and win the various prizes associated with the game. The game is available for play for both low rollers and high rollers with a minimum bet of only $0.01 and a maximum wager amount of $750. This large range of betting options makes it very popular among all players who enjoy playing slots games. 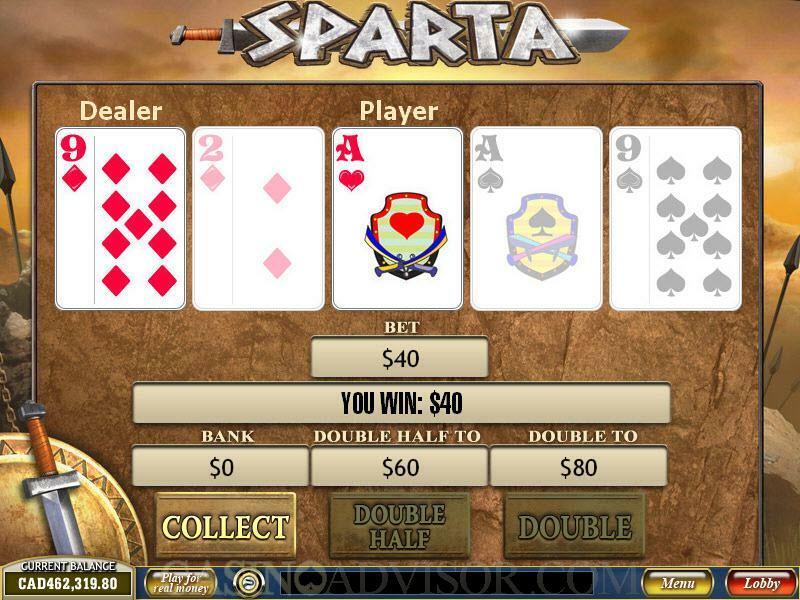 Sparta is available in a number of online casinos that are powered by the new generation Playtech software, which is taking the online casino world by storm. Like most other slot games, Sparta also has a free version that is offered to players in many online casinos. With this free version, players will be able to understand the game and the way it is played much better without having wagered a single penny. The only problem with the free version is that players who use this version are not eligible for the prize money associated with the game. For players who wish to opt for the real money version, they can choose to make wagers ranging from $0.01 to $750. This wager is in the form of coins whose denomination varies from $0.01 to $5. With a maximum bet of 5 coins per pay-line, players are given a large variety of betting options in this game. The regular symbols in this game are the longboats, warrior, vase, soldiers, swords, shields, crossbows, Ace, King, Queen, Jack, Ten and Nine. These symbols appear most often on the reels and all of them have a payout associated with them if they appear three or more times. The wild symbol in this game is the Spartan Warrior which appears on the reels #2, #3 and #4. This symbol substitutes for other symbols to complete any winning combination except for the scatter winning combinations. When the wild symbol completes a winning combination, it automatically expands so that it occupies all of the positions on the reels on that particular pay-line. The scatter symbol is the Soldier symbol which only appears on reel #2, 3 and 4. This symbol can appear anywhere scattered on these three reels. If the scatter symbol appears more than twice on the reels, then the scatter winning combination complete and a payout is awarded to the player. This payout is in the form of a multiplier which multiplies the triggering bet by a factor, depending on the number of scatter symbols that appear. Three or more scatter symbols automatically awards the player 15 free spins. These free spins have a 2x multiplier, and so all the winning combinations during a free spin have double the regular payout. Interested in reading more detailed information about Sparta? If so Click Here for more details.